The Special Presidential Investigation Panel for Recovery of Public Property, SPIPRPP, on Monday, said it granted administrative bail to the governorship candidate of the All Progressives Congress, APC, in Imo State, Senator Hope Uzodinma, after he developed high blood pressure in detention. 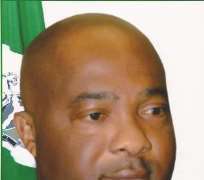 Uzodinma Chairman of the SPIPRPP, Chief Okoi Obono-Obla, who confirmed Uzodinma’s temporary release on bail, said the lawmaker pleaded to be allowed to return back for questioning on Tuesday. Obono-Obla told Vanguard that the embattled APC gubernatorial flag-bearer, who was accused of complicity in $12million contract fraud, was released from detention around 12midnight on Sunday.